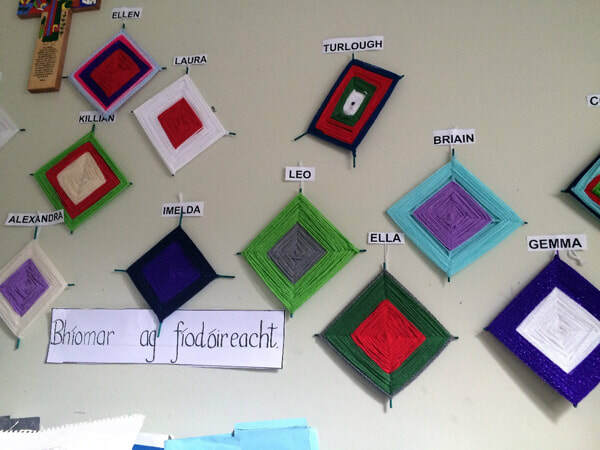 What beautiful weaving Ms Collins’ Third and Fourth Class did recently. It really is so colourful. 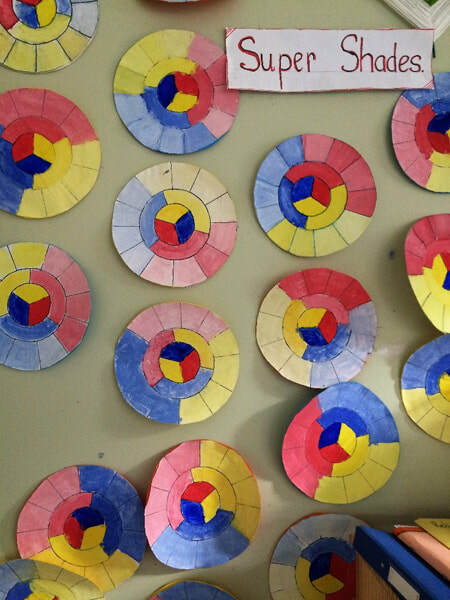 The children were learning about mixing colours and the colour wheel. 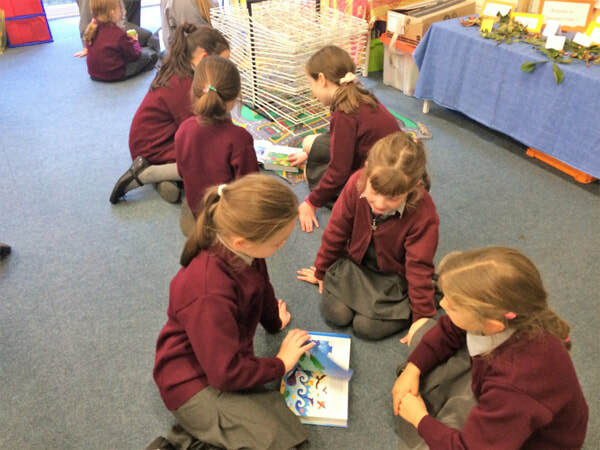 ​Third and Fourth were very kind to Junior and Senior Infants during Buddy Reading recently. 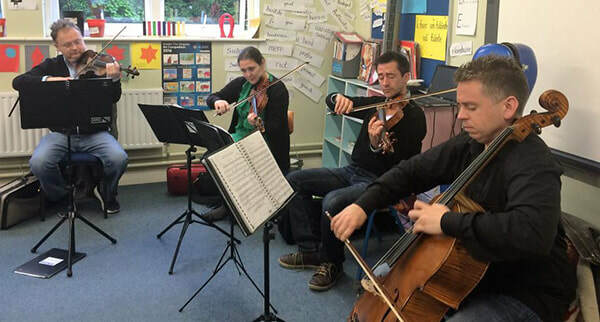 ​What a brilliant school tour we had in June. 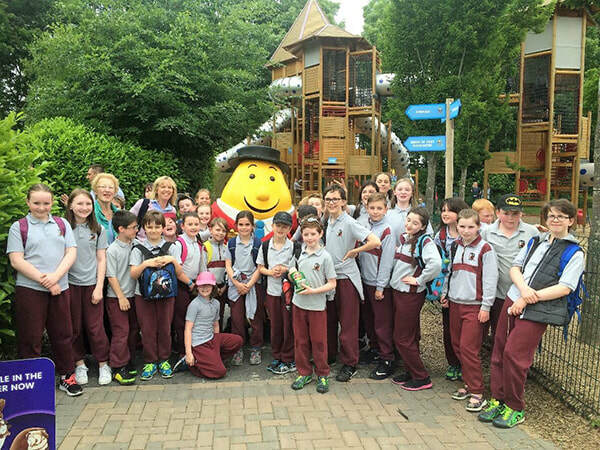 We went to Tayto Park. It was fantastic. The Cúchulainn ride was pretty scary. Although the zip wire was even scarier…….poor Mrs Cleary!! 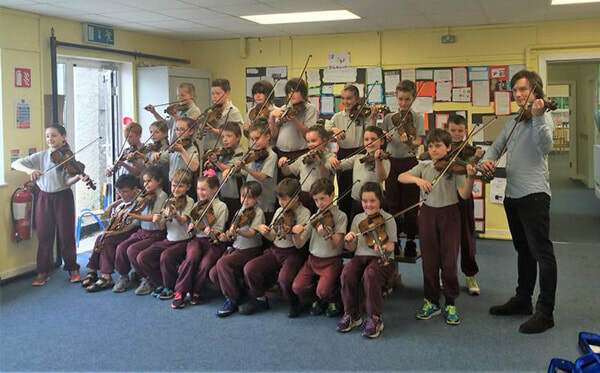 Mrs Cleary’s 3rd and 4th class held a violin recital at the end of the year in June 2016 to show off their new musical ability. It was a great success and the parents really loved it. Matt was brilliant and he brought in his friends, a string quartet – what a treat!